^ Alao, Abiodun (2012). 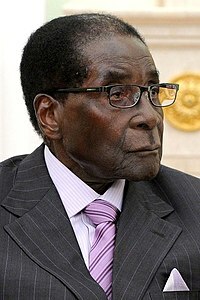 Mugabe and the Politics of Security in Zimbabwe. Montreal and Kingston: McGill-Queen's University Press. ISBN 978-0-7735-4044-6. p. 20. ^ Eisenmann, Joshua (2005年7月5日). “Zimbabwe: China's African ally”. China Brief (The Jamestown Foundation) 5 (15). オリジナルの2007年8月5日時点によるアーカイブ。. https://web.archive.org/web/20070805023113/http://www.jamestown.org/publications_details.php?volume_id=408&issue_id=3390&article_id=2369974 2007年11月5日閲覧。. ^ Wolvaardt, Pieter; Wheeler, Tom; Scholtz, Tom (2010). From Verwoerd to Mandela: South African Diplomats Remember. Vol 2. South Africa: Crink. ISBN 978-0-620-45459-9.